In December, the Court of Appeal in Baku upheld the government’s decision to block several online media outlets. The country’s Supreme Court agreed with the Court of Appeal’s ruling in June 2018 (see Blocking and Filtering). Independent news websites and opposition activists suffered cyberattacks ahead of April’s snap presidential election (see Technical Attacks). Legislative amendments to Azerbaijan’s Code of Administrative Offenses imposed new fines for distributing illegal content online (see Content Removal). Multiple online journalists, bloggers, and social media users were detained for their online activity, with sentences of up to six years in prison (see Prosecutions and Detentions for Online Activities). ​Internet freedom declined in Azerbaijan after a court upheld the blocking of independent news websites and technical attacks targeted both news outlets and opposition activists. On February 5, 2018, President Ilham Aliyev announced that a snap presidential election would occur on April 11, six months ahead of the original date.1 The election, which main opposition parties boycotted, resulted in Aliyev securing another seven-year term.2 In the lead-up to the vote, several opposition figures’ Facebook pages were hacked, while independent websites suffered technical attacks. Those participating in opposition rallies also reported experiencing connectivity issues. Many journalists, bloggers, and social media users faced legal sanctions for their activities online, with a number of convictions resulting in prison terms. Authorities also pressured exiled activists to cease their online activities by detaining and threatening relatives residing in Azerbaijan. Legislation passed in March 2017 gave authorities wide discretion to block content online, which it swiftly used to block several independent online media outlets. Both the Baku Court of Appeal and the Supreme Court upheld the blocking of these news websites. As a result, social media platforms remain popular tools among opposition activists and the general public. Azerbaijan netizens especially rely on Facebook as an important platform for publishing corruption investigations and discussion on the ongoing government clampdown, as well as daily grievances. Internet access remains expensive for much of the population, with Azerbaijan lagging behind its neighbors on indicators such as internet speed and affordability. Temporary internet blackouts occur periodically, often due to problems with DeltaTelecom’s infrastructure. Users also experience connectivity issues during politically-sensitive events such as opposition rallies. Poor telecom infrastructure along with low information and communications technology (ICT) literacy, and high tariffs for satellite connections remain key obstacles to ensuring greater internet access across the country. Internet in Azerbaijan remains expensive, though this does not translate into better quality or faster connections. The vast majority of connections in Azerbaijan are based on ADSL, with Wi-Fi, WiMAX, 3G, and 4G becoming widespread. Despite ADSL being used as the most common way to connect to the internet, the technology has not reached its full potential according to Gunduz.6 Government efforts to upgrade the infrastructure through its Fiber to Home project were limited during the reporting period. Internet access remains expensive relative to monthly incomes, and Azerbaijan continues to lag behind Russia, Ukraine, Georgia, and other neighboring countries, where connections are available at comparatively low cost. Wholesale access to international gateways is maintained by companies with close ties to the government. Only two operators, AzerTelecom and Delta Telecom, are licensed to connect international IP traffic.19 Delta Telecom owns the internet backbone and is the main distributor of traffic to other ISPs. It controls Azerbaijan’s only Internet Exchange Point (IXP), and charges the same amount for local and international traffic. The company is a transit operator of Azerbaijan’s segment of the Europe Persia Express Gateway (EPEC) and has external fiber-optic connections with Russia (via TransTelecom) and Turkey (via RosTelecom). AzerTelecom has a fiber-optic cable network covering all major regions, including the autonomous republic of Nakhchivan. The market base is split along geographical lines, with BTCPA (Baku Telephone Communications Production Association) serving the capital. AzTelekomnet, the largest ISP operating outside Baku, has ownership ties to the MTCHT; its shareholders include Azerfon, which has links to the president’s daughters. Azercell is still the leading mobile service provider despite its overall market share falling from about 50 percent to 40 percent. Bakcell and Azerfon follow behind, maintaining a steady market share of approximately 33 and 25 percent respectively. Like Azerfon, Azercell has been found to have connections with President Aliyev’s daughters. Several independent online outlets were blocked during this coverage period after recent legislative amendments empowered authorities to block content without first obtaining a court order. Trolls are active online and targeted digital outlets and civil society activists in the lead-up to the snap elections. Decisions to block websites are arbitrary, clearly targeting independent outlets that are critical of the government. There is no genuine avenue for appeal, and no information on the total number of websites blocked or throttled at any given time. Content revealing personal information without consent may be subject to removal under Articles 5.7 and 7.2 of the Law on Personal Data. A written demand from the individual concerned, a court, or the executive branch is required. Authorities can also remove online content in cases of defamation. The ongoing government crackdown against independent and opposition media outlets—in addition to arrests of online activists—has significantly limited the space for free expression in Azerbaijan. Some online journalists, commentators, and ordinary internet users have resorted to self-censorship, especially if they are employed by state media outlets or progovernment platforms. Others have left the country out of fear of persecution. In the lead-up to April’s snap elections, progovernment commentators were prevalent online. The vast majority of existing online media outlets publish news in favor of the government due to the owners’ strong ties to government officials or direct government ownership. The head of Turan Information Agency, Mehman Aliyev, has said that Azerbaijan’s independent media has struggled to stay afloat since the 1990s. According to Aliyev, the majority of media outlets in Azerbaijan are government-controlled and government-funded. Many outlets spread state propaganda, in violation of the Law on Mass Media and the Journalism Code of Ethics.39 Yet in January 2016, the Prosecutor’s office issued a warning that it was monitoring internet-based outlets, and several had violated the mass media law by sharing incorrect information on nationwide protests following a currency devaluation.40 The limits imposed on independent or opposition media outlets make it difficult for them to attract advertising to sustain their work. Companies are reluctant to support them for fear of losing their business license or other reprisals from the government. Laws regulating foreign funding of NGOs have made it easier for the government to target local organizations and media outlets that receive grants from outside sources. In February 2014, President Aliyev approved amendments to the law on grants, further limiting civil society. In February 2015, Aliyev signed amendments to the mass media law that allow courts to order the closure of any media outlet that receives foreign funding or that is convicted of defamation twice in one year. Requirements for receiving grants are now so complicated that they prevented a number of online media outlets from continuing their work. Mediaforum, Obyektiv TV, Channel 13, and Zerkalo/Ayna all ceased operations because of these restrictions. In 2015 remaining independent media outlets like the Radio Free Europe/Radio Liberty’s Azerbaijani service were also closed. The government has indicated that it is interested in regulating social media platforms and bloggers. In February, before the snap election, the Central Election Commission chairman Mazahir Panahov expressed concern over social media platforms. He claimed they have grown uncontrollable and are difficult to regulate during the election process.47 At a National Parliament Human Rights Committee meeting in January 2017, Chairman of the Press Council Aflatun Amashov discussed creating legislation to monitor and regulate bloggers and social media platforms.48 Other members of parliament supported the potential legislation, saying that there is a “serious need to regulate this field.”49 No pieces of legislation have been proposed. Activists continue to use social media to disseminate information and organize campaigns, though the impact is fairly limited. For example, during the reporting period, Facebook was used to share updates about political rallies organized by the opposition as well as stories of alleged election fraud in April. Authorities continue to prosecute and arrest online activists and journalists as a means of stifling dissent and activism, and target remaining independent online media outlets with bogus criminal charges. The families of exiled dissidents were targeted in attempts to pressure their relatives to cease their online activity. Meanwhile, independent news outlets and opposition activists were subjected to technical attacks in the lead-up to the 2018 snap election. While the right to freedom of expression is guaranteed in the constitution and Azerbaijan is a signatory to binding international agreements, including the International Covenant for Civil and Political Rights and the European Convention on Human Rights, the government frequently fails to protect the right to freedom of expression, both offline and online. Libel is the most common criminal charge used against journalists, and the Azerbaijani courts have previously confirmed that libel laws apply to social media.51 In 2013, general provisions on defamation and insult were expanded to include criminal liability for online content. Recent legislative amendments increased the maximum duration of administrative detentions from 15 days to three months. Administrative detentions, which can be issued for charges such as disorderly conduct, have been used to punish activists and journalists. Online activists and journalists are most often prosecuted based on trumped up charges, including drug possession, hooliganism, and, more recently, treason, tax evasion, abuse of authority, and embezzlement. Multiple convictions during the reporting period resulted in four or more years of imprisonment. Many administrators, editors of online news outlets, and bloggers in Azerbaijan remain jailed for their online reporting. On May 4, 2018, Alikram Khurshudov, member of the opposition Musavat party, was sentenced to five years in prison after being found guilty of hooliganism under Article 221.2.3 and resisting the authorities or abuse of power under Article 315.2.57 Members of the opposition party, however, argue that the charges were the result of Khurshudov’s critical Facebook posts detailing that local residents were forced into becoming members of the ruling party in the region of Shirvan. He was originally arrested and detained in November. In June 2018, the Supreme Court upheld blogger and journalist Mehman Huseynov’s March 2017 two-year sentence for slander against police officers.71 In December 2017, the Baku Court of Appeal also upheld the sentence. The charges relate to Huseynov’s arrest in January 2017, after which he said he was abducted and tortured by plain-clothed policemen (see Intimidation and Violence). Huseynov had been repeatedly targeted by authorities for his critical reporting and documentation of government corruption and other abuses. Huseynov was also the editor-in-chief of SANCAQ, an online socio-political magazine with around 300,000 followers. Fuad Gahramanli, deputy chair of the Azerbaijan Popular Front Party, was sentenced to 10 years in prison in January 2017 for his Facebook posts in which he criticized the government and condemned the November 2015 crackdown in Nardaran.72 Gahramanli was charged under Article 281 of the Criminal Code, publicly calling to overthrow the government, and Article 283, inciting national, religious, and racial hatred.73 Furthermore, those who “liked” or commented on the posts were called to testify.74 On March 15, 2016, Gahramanli was further charged under Article 220.2 with inciting mass disorder. Araz Guliyev, former editor-in-chief for the religious website Xeber44, is serving an eight year sentence after being arrested in 2012 and convicted of various offences including insulting the national flag and inciting religious and ethnic hatred.75 Guliyev’s lawyer stated in October 2017 that his client had been tortured in prison (see Intimidation and Violence). It is unclear to which extent security agencies monitor ICT activity or track user data in Azerbaijan, but an April 2018 report began to elucidate the government’s extensive surveillance, as do the frequent arrests of activists and bloggers. An April 2018 report by the secure hosting project Virtual Road exposed the government’s surveillance apparatus. In 2015, authorities purchased specialized security equipment for US $3,000,000 from the Israeli security company Allot Communications.84 In March 2017, they began using the equipment’s deep packet inspection (DPI) capabilities (see Blocking and Filtering). In addition to these recent revelations, the Law on Operative-Search Activity (Article 10, Section IV) authorizes law enforcement agencies to conduct surveillance without a court order in cases regarded as necessary “to prevent serious crimes against the person or especially dangerous crimes against the state.”85 The unclear parameters for what constitutes preventive action leaves the law open to abuse. As such, it has long been believed that the National Security Service and Ministry of Internal Affairs monitor the phone and internet communications of certain individuals, especially foreigners, known activists, and business figures. The Ministry of Communications requires all telecom companies to make available their equipment and special facilities to the National Security Service, formerly Ministry of National Security.86 Mobile companies are known to surrender the content of users’ phone conversations without a court order. For example, a mobile phone operator provided the Ministry of Investigation with journalist Parviz Hashimli’s communications, resulting in a prison sentence.87 Hashimli was released in a March 2016 prisoner amnesty. In February 2014, Citizen Lab reported that Azerbaijan, along with 20 other governments, is suspected of using RCS (Remote Control System) spyware sold by the intelligence technology and surveillance company Hacking Team.88 RCS spyware allows anyone with access to activate a computer’s webcam and microphone and steal videos, documents, contact lists, emails, or photos. The spyware has been used by governments around the world to spy on dissidents. In July 2015, leaked documents from Hacking Team revealed that the government of Azerbaijan was also a client. All mobile phones in Azerbaijan must be registered, including the SIM card, phone serial number, and mobile network number. This requirement was introduced by the Cabinet of Ministers in December 2011—without parliamentary approval.89 Mobile service providers are required to limit service to any unregistered devices. Independent blogger Mehman Huseynov said he was tortured in January 2017 by unknown assailants who were actually civilian-clothed policemen.102 Huseynov claims the men forcibly pushed him into a car, placed a bag over his head, and drove him around for several hours. While in the car, he received electric shocks and passed out after arriving at the police station. Huseynov was later convicted and sentenced (see Arrests and Prosecutions for Online Activities). Emin Milli, the founder of Meydan TV, received death threats from Azerbaijan’s Minister of Youth and Sport in relation to his website’s critical coverage of the European Games.104 Freelance journalists reporting for Meydan TV from within Azerbaijan have also faced harassment by authorities. In September 2015, Meydan TV reporters Izolda Aghayeva, Natiq Javadli, and Javid Abdullayev were questioned by the Serious Crimes Investigation Department of the General Prosecutor’s Office regarding their coverage of protests in Mingachevir the previous month. However, the majority of the questioning concerned the activities of Meydan TV.105 Furthermore, a number of Meydan TV staff are on the government’s travel ban list. Opposition news websites and activists continued to be subjected to cyberattacks, especially in the lead-up to the snap election in April 2018. Individual activists have been targeted in spearphishing attacks, the purpose of which was to gain access to their personal information. Kanal 13, another independent website, reported experiencing similar attacks as Meydan TV, losing online content and followers.110 The following month, opposition news website bastainfo.com was subjected to DDoS attacks.111 The webpage’s social media accounts were also hacked, with over 200 items of content lost from Facebook. In January 2018, former presidential candidate Camil Hasanli had his Facebook hacked. He lost about 75,000 subscribers and content such as posts, photos, videos, and articles dating back to 2013.112 Opposition activists Ali Karimli, Tofig Yagublu, and Gultekin Hajiyeva were targeted,113 as was human rights lawyer Namizad Safarov. 4 “In Azerbaijan Internet costs are higher than in Europe”, Azadliq.info, August 13, 2016 http://bit.ly/2qSS7Se. 12 In an interview with media law expert Alasgar Mammadli, Mammadli explained that the MTCHT has control over 50 limited liability companies many of which have their own ISPs. 14 Based on interviews from the participants of the rallies. 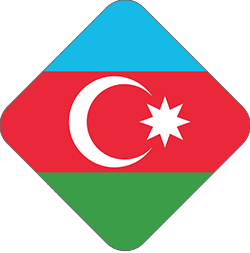 20 Azerbaijan Republic Ministry of Communications and High Technologies, ISPs list, http://bit.ly/2qSPz6x. 22 From the author’s research using OONI Probes in Azerbaijan based on the test list serve compiled for an Open Technology Fund fellowship. 27 “Azerbaijani court orders block on RFE/RL website,” RFE/RL, May 12, 2017, https://www.rferl.org/a/azerbaijan-rferl-service-website-court-orders-blocked/28482679.html. 28 “Blocking of websites in Azerbaijan moving ahead at full steam,” Meydan TV, April 17, 2017, https://www.meydan.tv/en/site/news/22317/. 29 IFRS, “Government blocks access to azadliq.info and azadliq.org websites in Azerbaijan” March 27, 2017, https://www.irfs.org/news-feed/government-blocks-access-to-azadliq-info-and-azadliq-org-websites-in-azerbaijan/; RSF “Online censorship rounds off Aliyev’s control of Azerbaijani media” May 3, 2017, https://rsf.org/en/news/online-censorship-rounds-aliyevs-control-azerbaijani-media. 30 “How Azerbaijan is trying to block main opposition media,” Quirium, https://www.qurium.org/how-azerbaijan-is-trying-to-block-main-opposition-media-news/. 31 “The Azerbaijan Laundromat” OCCRP, September 2017, https://www.occrp.org/en/azerbaijanilaundromat/; “Azerbaijan hits back over ‘scandalous’ money laundering claims” The Guardian, September 5, 2017, https://www.theguardian.com/world/2017/sep/05/theresa-may-challenged-over-azerbaijani-money-laundering-scheme. 34 RSF “Online censorship rounds off Aliyev’s control of Azerbaijani media” May 3, 2017, https://rsf.org/en/news/online-censorship-rounds-aliyevs-control-azerbaijani-media; IFRS, “Government blocks access to azadliq.info and azadliq.org websites in Azerbaijan” March 27, 2017, https://www.irfs.org/news-feed/government-blocks-access-to-azadliq-info-and-azadliq-org-websites-in-azerbaijan/. 35 “Azerbaijan: Rapper’s family punished over song critical of the government,” Eurasianet, January 9, 2017 http://www.eurasianet.org/node/81886. 36 “Rashad Majid: insults on Facebook,” Azadliq, June 5, 2015, http://www.azadliq.org/a/27055509.html. 39 “On ‘Press Freedom Day’ this is the state of Azerbaijan media,” Azadliq, May 3, 2015 http://www.azadliq.org/content/article/26991333.html. 40 “Notification from Prosecutor to mass media communication,” Azadliq, January 29, 2016 http://www.azadliq.org/content/article/27518894.html. 45 “Azerbaijan’s unconstitutional future,” Open Democracy, August 10, 2016, https://www.opendemocracy.net/od-russia/dominika-bychawska-siniarska/azerbaijan-s-unconstitutional-future. 71 Frontline Defenders, “Mehman Huseynov Sentenced” March 2017 https://www.frontlinedefenders.org/en/case/mehman-huseynov-sentenced. 75 Council of Europe, “Senior Journalist Araz Guliyev Sentenced to Eight Years in Prison in Azerbaijan,” April 1, 2015, http://bit.ly/226Z61Z. 77 Human Rights Watch, “Azerbaijan Government Repression Tarnishes Chairmanship,” September 29, 2014, https://www.hrw.org/news/2014/09/29/azerbaijan-government-repression-tarnishes-chairmanship. 78 Ref World, “2015 Prison Census: Nijat Aliyev,” December 14, 2015, http://www.refworld.org/docid/56701fbe31.html. 80 Human Rights Watch, “Azerbaijan Bogus Drug Charges Silence Critics,” May 27, 2015, https://www.hrw.org/news/2013/05/27/azerbaijan-bogus-drug-charges-silence-critics. 87 “TeliaSonera’s behind-the-scenes connection to Azerbaijani president’s daughters,” Radio Free Europe/Radio Liberty, July 15, 2014, http://www.rferl.org/content/teliasonera-azerbaijan-aliyev-corruption-investigation-occrp/25457907.html. 93 “Rights groups demand justice: journalist Mehman Huseynov tortured in Azerbaijan,” RSF, January 12, 2017, https://rsf.org/en/news/rights-groups-demand-justice-journalist-mehman-huseynov-tortured-azerbaijan. 100 Council of Europe, “Senior Journalist Araz Guliyev Sentenced to Eight Years in Prison in Azerbaijan,” April 1, 2015, http://bit.ly/226Z61Z. 102 “Rights groups demand justice: journalist Mehman Huseynov tortured in Azerbaijan,” RSF, January 12, 2017, https://rsf.org/en/news/rights-groups-demand-justice-journalist-mehman-huseynov-tortured-azerbaijan. 103“Georgia NGOs call for full investigation into Azerbaijan journalist’s abduction” RSF, June 7, 2017, https://rsf.org/en/news/georgia-ngos-call-full-investigation-azerbaijani-journalists-abduction. 104 “Support independent media in Azerbaijan,” Washington Post, August 20, 2015, http://wapo.st/1E9NeXj. 105 “The main issue was Meydan TV, Mingachevir was an excuse,” Meydan TV, September 3, 2015, https://www.meydan.tv/en/site/society/7880/. 106 Max Fisher “Intimate videos emerge, again, of reporter investigating Azerbaijan president’s family,” The Washington Post, August 7, 2013, http://wapo.st/2e9234W. 114 “False friends: How fake accounts and crude malware targeted dissidents in Azerbaijan” Amnesty International, March 9, 2017, http://bit.ly/2hDmOZ0. 115 “News media websites attacked from governmental infrastructure in Azerbaijan” Quirium, March 10, 2017, https://www.qurium.org/news-media-websites-attacked-from-governmental-infrastructure-in-azerbaijan/.